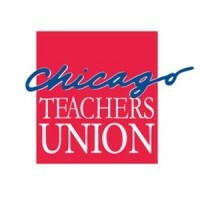 During a press conference tonight the Chicago Teachers Union (CTU) announced that it will be going on strike, its first action of the sort in 25 years. Powerful Outside Interests Worked With Rahm To Cripple CTU’s Ability To Strike (They Failed): Last year, outside education privatization groups like Stand for Children worked with the city council and mayor to raise the strike threshold limit to 75 percent — meaning that 3/4 of teachers had to vote to strike. Jonah Edelman, who works for the group, bragged during the Aspen Ideas Festival that they had essentially eliminated teachers’ ability to strike. But in June, nearly 90 percent of CTU members voted to authorize a strike, easily surpassing the barrier that the city and education privatization groups had placed on them. But outside groups haven’t stopped taking aim at union rights. They’ve even paid protesters to demonstrate against CTU.